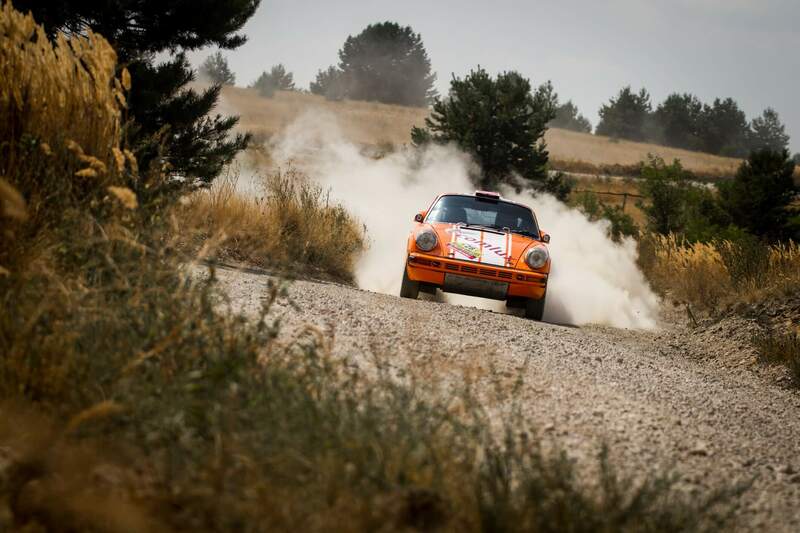 This week Rexteam took part in a big challenge in the form of a race at the Balkan Classic Rally in Bulgaria with two historic Porsche 911 cars. The Swiss family crew Joseph and Yves Huber, with whom Rexteam has been cooperating for many years and with whom we have participated in the Classic Outback Trial 2016 in Australia and the East African Classic Rally 2017 in Kenya and Tanzania, raced with the orange Porsche 911. German crew Josef Jobst – Jurgen Bertl raced with the white 911. We’ve also known them for a while, but their first race was directly in Rexteam. Two service vehicles carrying the racing cars left the team base on Thursday, September 13, on a long trip to Plovdiv, Bulgaria. The team’s service center was set up over the following weekend, and the last inspection and adjustments were made to the car. The Monday schedule consisted of a takeover and shakedown. The rally itself consisted of 5 challenging stages, with a total speed test length exceeding 1600km. Both crews, both cars and three service groups managed the challenging competition, proving their durability and speed. Josef Jobst even managed to win one speed test and to rank among the top three several times. Unfortunately, on the second day the drive shaft joint in his car was damaged; although this caused a time loss, he showed tremendous skill and managed to resolve the problem and continue the race. Josef Jobst ended up finishing in 6th place, with Joseph Huber just behind him. Like all the other crews, our crew also had problems with navigation and orientation. Nevertheless, both drivers did great and they deserve praise because this was their first race here. If we take part in this competition in the future, we will definitely use all the experience we’ve gained, especially our navigation will be stronger.